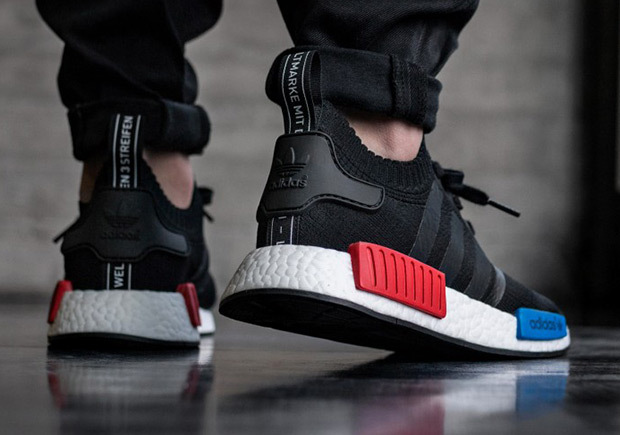 The adidas NMD will continue its run as a must-have model throughout the entirety of 2017 with the brand new NMD R2, the updated City Sock 2, and much more – but there’s still nothing like a classic. 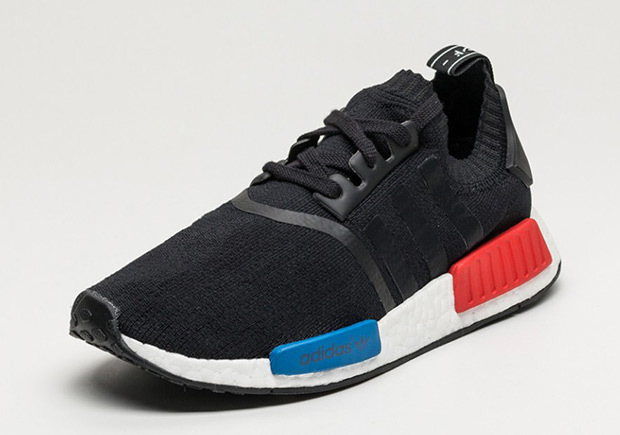 That’s why we’re so excited for the return of the true and through original adidas NMD OG, the first NMD release ever back in December 2015 that featured a Core Black Primeknit with accents of Royal Blue and Lush Red on the midsole bumpers to contrast that clean white Boost midsole. 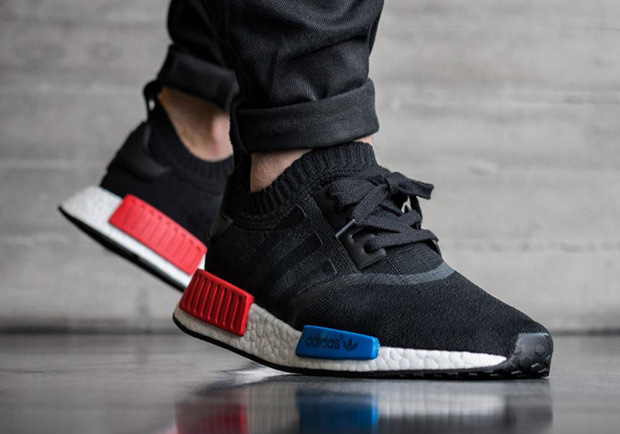 The adidas NMD OG will release this Saturday, January 14th at a number of retailers, and the list continues to update which is why we’re back with a full store list and an updated look at the re-release. 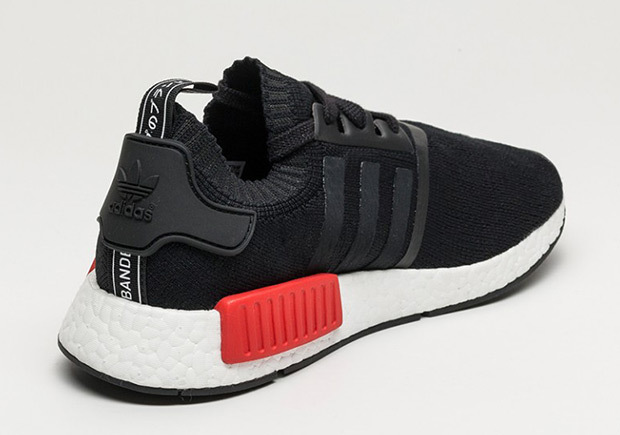 The adidas NMD R1 “OG” kicked things off in the simplest way possible for the NMD series. 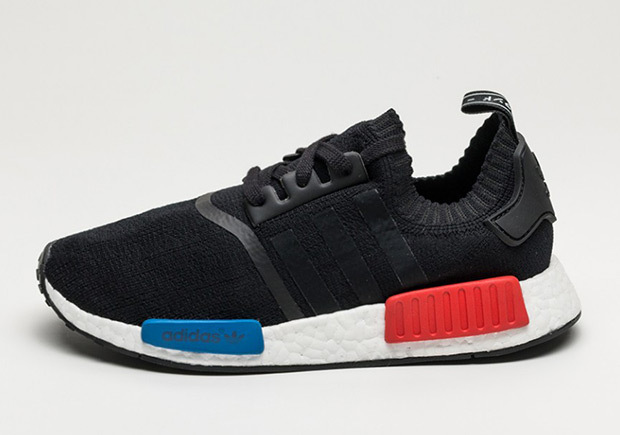 The black on black Primeknit nearly camouflages the three stripes side panel branding while international ‘The Brand With The Three Stripes’ branding arrived on the heel tab for a unique twist. The influences of the Micro Pacer, Boston Super, and Rising Star can be found throughout, especially on the midsole’s unique ‘bumpers’ in Lush Red and Royal Blue. 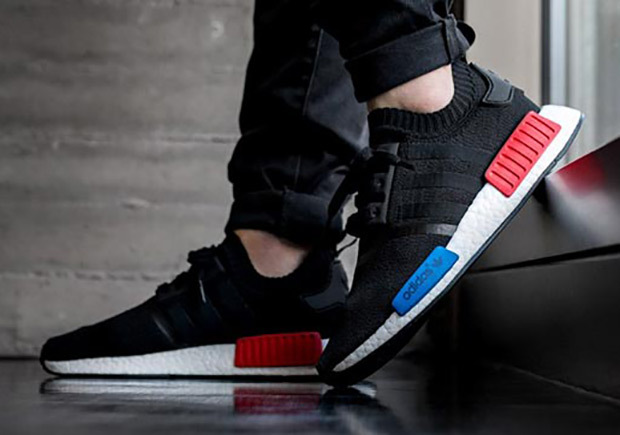 Check out a full list of retailers stocking the coveted adidas NMD R1 OG below and be sure to head over to our always-updated Release Dates page for a look at what else is arriving at shops this weekend.